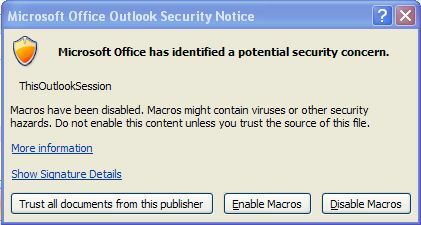 After having signed the ThisOutlookSession code, you have to tell Outlook that you trust the code. 2. Press [Trust all documents from this publisher] - that's you who signed it.